We're Raising a Glass to You! 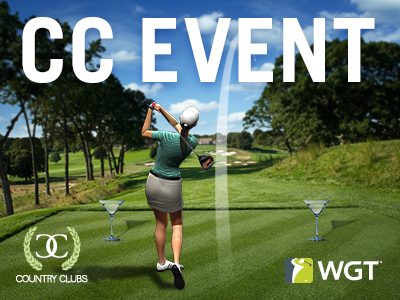 It's the season to celebrate and we're helping you get a head start with these swanky Martini tees and flags – they're up for grabs in CC Event #61 this week. Compete now through Fri, 12/1 for your chance to win in-game rewards, including these virtual tee markers and flags. Plus, the top 500 clubs will also receive Course Builder currency for custom courses. CC Event #61 runs 11/30-12/1 with multiple 4-hour Clashes, so be sure to play as many games as you can for your club and keep your eyes on the leaderboard. Here's how it works. Each event is made up of Club Clashes which last for a limited amount of time (usually a few hours). When your club enters the event, you'll be matched to play with a similar skill level club. Start playing! A timer will keep track of how much play is left in that Clash. Club members from both sides can play as many rounds as they'd like during that time using Club Passes and Superpasses to earn points. Learn more about CC Events and Club Clashes. These are some of the most powerful, popular virtual golf balls in the game, adding more distance, control and spin to all your shots. Plus, with the added platinum vapor trail your virtual golf game is really going places. Offer valid on one 2,000 or more WGT Credit purchase only on Mon, 11/27/17 through 11:59 PM Pacific Time. NOTE: Offer runs from midnight to 11:59 PM Pacific Time, buy 2,000 or more WGT Credits and get 3 free MAX Platinum Vapor Balls (L0+). WGT Special Event Weekend: Day 3 Reveal! These virtual golf balls give you more distance, control and durability, plus an even slower swing meter to help you ding more shots. 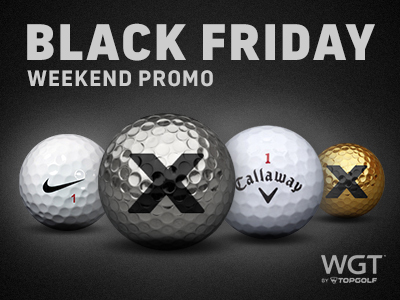 Offer valid on one 2,000 or more WGT Credit purchase only on Sun, 11/26/17 through 11:59 PM Pacific Time, get 3 free Callaway Hex Chrome+ Slow Meter Balls (L34+). NOTE: Each day's offer runs from midnight to 11:59 PM Pacific Time, so be sure to check in accordingly! WGT Special Event Weekend: Day 2 Reveal! We're bringing back one of the most popular balls on WGT, today only! These flashy, top performing virtual golf balls give you a slower swing meter to help you "ding" more shots and lower your scores, plus the matching gold vapor trail helps you trace your shots through the air. 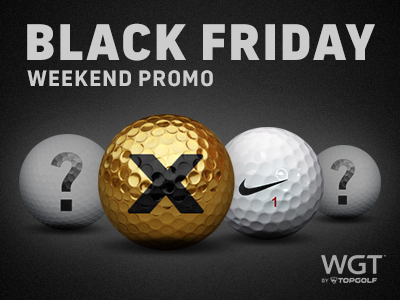 Offer valid on one 2,000 or more WGT Credit purchase only on Sat, 11/25/17 through 11:59 PM Pacific Time, get 3 free special edition Gold MAX virtual golf balls (Hack+). 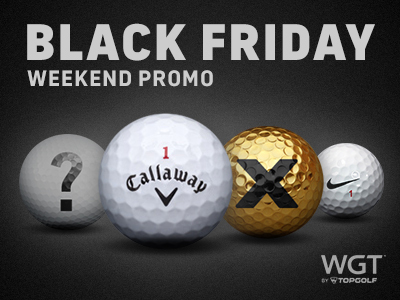 'Tis the season to get new things and we're giving you a weekend of offers (on your favorite virtual golf balls, perhaps?) like never before! Each day we'll be featuring a different premium golf ball, starting today for Black Friday (11/24), then check in with us daily through Cyber Monday (11/27) so you don't miss a thing! These player-favorites give you even more distance and control on your shots, with less spin and a slower WGT swing meter. Deals change every day so be sure to check in with us so you don't miss any of the fun. 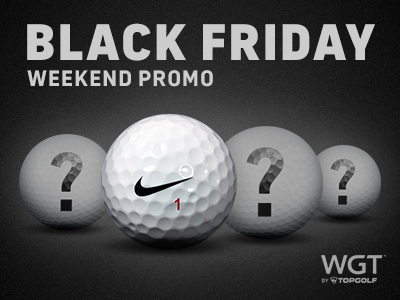 *Buy 2,000 or more WGT Credits on Fri, 11/24/17 and get 3 free Nike RZN Red virtual golf balls (L40+). The feathers are flying just for you today! Log in and play today 11/23, and get a free Turkey Vapor Ball. 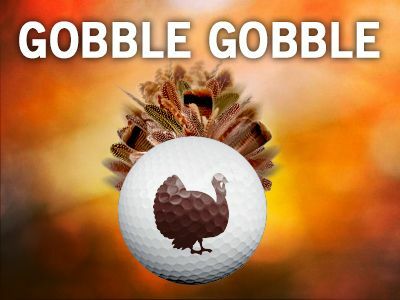 This special edition virtual golf ball features flying feathers and a turkey call to add some gobble, gobble to your game. *Special offer valid 11/23/17, log in to WGT and get 1 free WGT Turkey Vapor Ball. Get in on the Best of Par 5 Challenge this month on the WGT Virtual Tour. Work your way up the leaderboard and be sure to post your first round score by 11/25 to qualify for the second round, with the top 70 combined scores in each Pro-Champion tier splitting the total purse prize of 100,000 WGT Credits. Don't forget, the winning players in each Pro-Champion tier of each monthly tournament will display a "reigning champion" icon next to their player name through the following month. We're giving thanks to you this week for being an important part of the WGT community! You can show that off with these seasonal Pumpkin Basket tees and flags that are up for grabs in CC Event #60. Compete now through Fri, 11/17 for your chance to win in-game rewards, including these virtual tee markers and flags. CC Event #60 runs 11/16-11/17 with multiple 4-hour Clashes, so be sure to play as many games as you can for your club and keep your eyes on the leaderboard. Special effects are now available to add to any virtual golf ball on WGT. 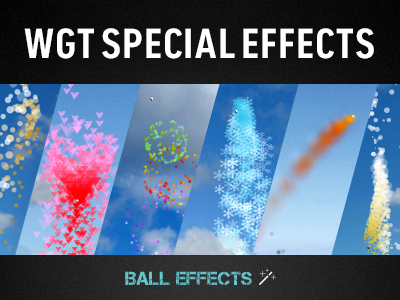 Choose from your favorite WGT special effects, like popping champagne bottle vapor trails, sparkling fireworks or a flaming inferno, and add them to whichever virtual golf ball you have equipped! 2. Go to "Accessories" and then "WGT Ball Effects"